We are looking for nominations for this year’s Cranbrook Citizen Award. 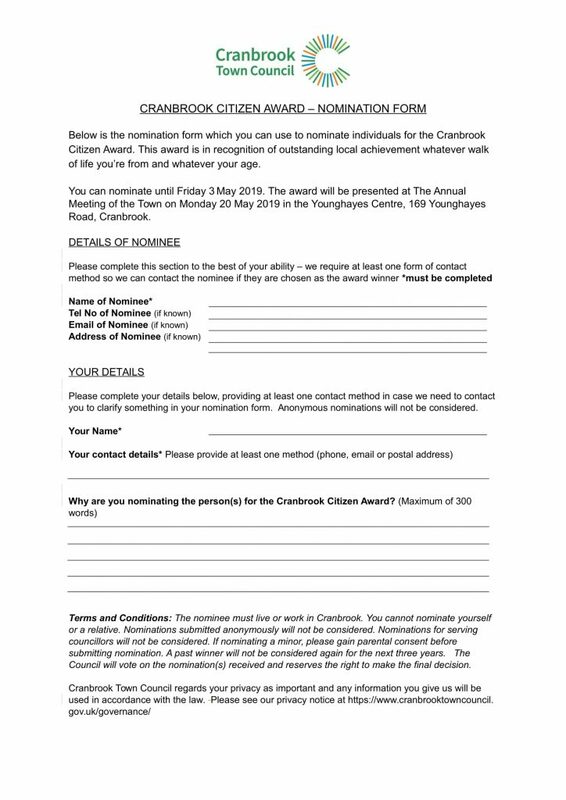 If you know anyone who you feel is deserving of this award, please complete the nomination form and send it to Tracy Simmons at office@cranbrooktowncouncil.gov.uk . 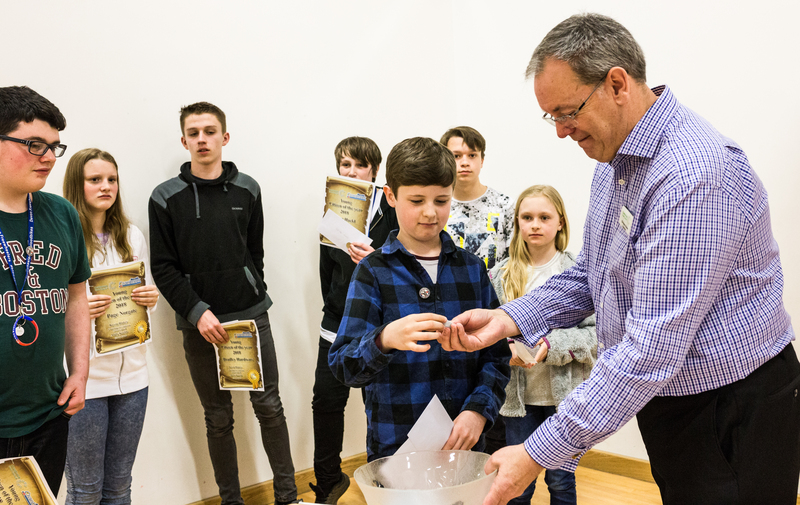 The winner will be presented with the award at the Annual Town Meeting on the 20 May at the Younghayes Centre.